It offers '35 percent' more performance than last year's GTX 1080 graphics card. Last year we called NVIDIA's GeForce GTX 1080 "the upgrade you've been waiting for," and now PC gamers have another high-end graphics card to drool over. At GDC 2017, CEO Jen-Hsun Huang presented its successor, the GTX 1080 Ti, which promises "35 percent more performance," packs 11GB of GDDR5X memory and will go on sale March 10th for $700. In fact, NVIDIA even claims this new card is faster than its $1,200 Titan X that launched late last year for professionals. 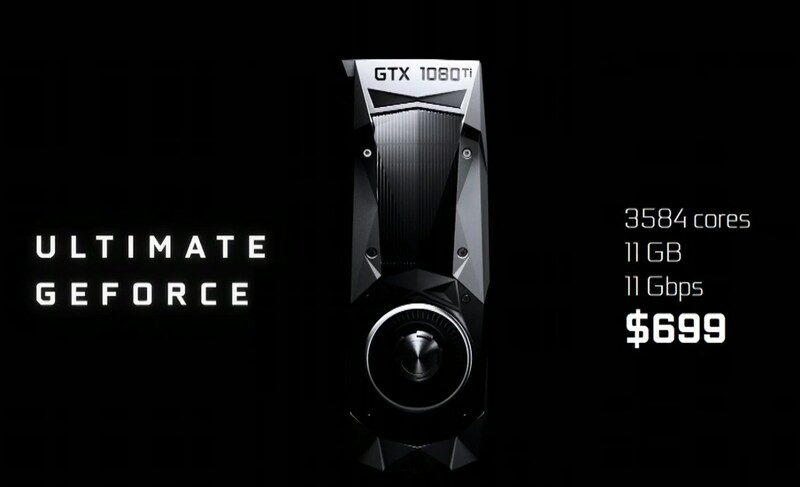 At the same time, the company announced the 1080 is getting a price cut and will now start at $500. So what makes this iteration run so fast? Its 11GB of VRAM is apparently the first use Micron's "G5X" memory, capable of 11Gbps bandwidth, making it ready for any VR or 4K/5K HDR gaming you have in mind. The GPU itself is manufactured on a FinFET process, and a new thermal solution keeps everything cool. Preorders will open on March 2nd, at 11AM ET.